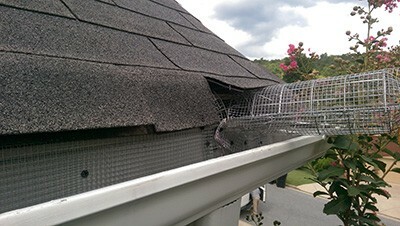 Attic Kings Animal Removal & Attic Decontamination is a licensed and insured wildlife management and trapping company that offers both residential and commercial services. We only use humane methods when removing animals and we never use poisons or pesticides. We believe in preserving the animal’s wellbeing and keeping wildlife where it belongs. Our headquarters is in Lawrenceville, and we serve the majority of cities throughout Georgia. In addition to animal removal, Attic Kings also offers repair, replacement, and cleaning services for certain damages caused by animals. This includes patching and filling holes, replacing contaminated insulation, and animal proofing. 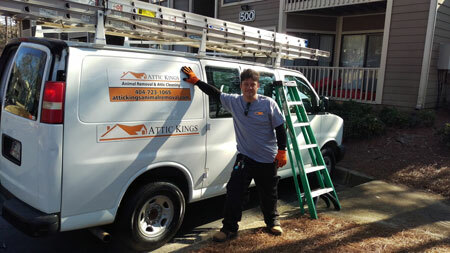 Attic Kings uses handcrafted safety exit tunnels to remove almost every animal. Our tunnels allow the animal to leave the area but prevent it from reentering. Some animals will need to be trapped or hand-caught so we can take them to a safe and distant location. Never will we use poison during the removal process. Killing the animal almost always creates greater problems and hassle. Our exit tunnels are much safer and can fit most small to medium sized animals. If you have animals living in your attic, don’t wait! Call Attic Kings and sign their eviction notice today. Also, check out our warranty page to see our list of warranties.